Winter is usually a frustrating season when it comes to finding good trails. The alpine country we often seek out as good hiking territory is smothered under a thick blanket of snow. Even if we were prepared to snowshoe or hike on the snow, just accessing the high country can be impossible. For those still intent on hiking one must maximize the options at hand. 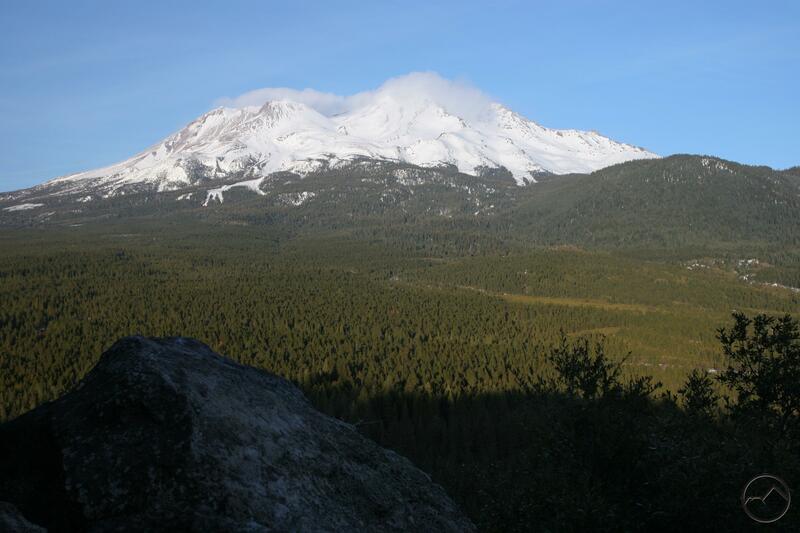 The Mount Shasta area is blessed with several excellent winter hiking options. This is, in part, due to the fact that most of the populated areas are in lower elevation settings while still being surrounded with fantastic mountains. This means that during the winter there are several good trails that will usually be snow free for the duration of the season. Of course, immediately after a large storm these options will also be snowbound but they generally melt out quickly are accessible fairly soon after the storm. 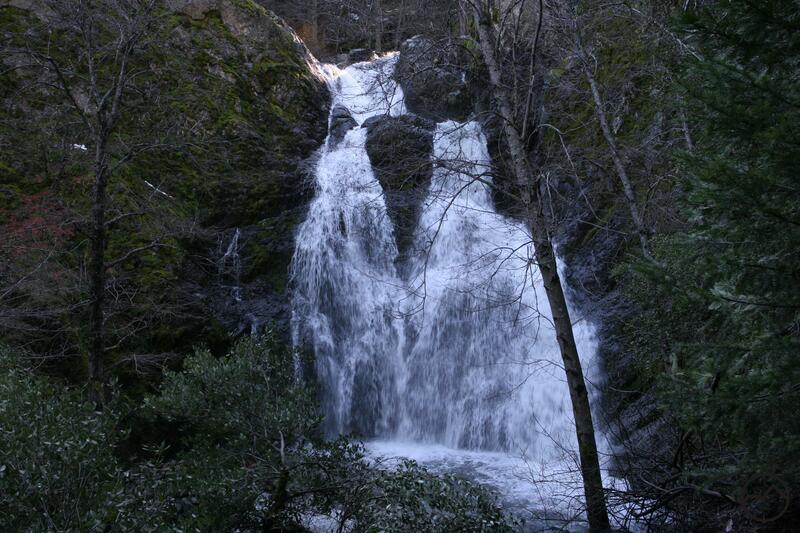 There are three good, short trails immediately around town that provide a variety of scenery: the Ney Springs Canyon Trail, the Box Canyon Trail and the Spring Hill Trail. When strung together throughout a day they make up a solid day of hiking with a variety of interesting scenery including historical ruins, a swift and rocky creek, a turbulent river in a narrow chasm, waterfalls, and epic views of Mount Shasta and the Trinity Divide. In short, this is for more scenery than one generally expects to find on snow-free trails in the winter. With a total distance of nearly six miles, the combination of these trails makes for a pleasant day of hiking (note: there are short drives between each trailhead). However, they also make pleasant morning or afternoon hikes and can generally be fit into small chunks of time on different days if one desires to meter out the scenery. Ruins along Ney Springs Creek. Set in the shadow depths of Ney Springs Canyon, this trail follows a rough road built in the 19th century to access the now lost Ney Springs Resort. Below the trail the boisterous creek flows through a boulder filled channel. Ruins of the old resort are scattered throughout the mid-section of the trail. Particularly noteworthy is an old retaining wall with an ornate stone basin which once held spring water and a large landing along the creek with another retaining wall, concrete stairs leading down into the creek a pair of cisterns built into the landing. Beyond the ruins the trail continues along the creek before ending at attractive Faery Falls, a 40 foot waterfall that falls in two tiers. For those interested in rock climbing, the trail continues up the north side of the canyon to a use trail that leads to a series of crags. South facing, these crags are generally snow free year round and are popular with climbers in the winter. If making a full day of hiking, this trail is best done in the morning. It is in shadow much of the day no matter when one hikes it and there are compelling reasons to hike the other trails later in the day. It can be especially cold in the canyon so dress appropriately. This is the only trail of the three that is not accessed via a plowed road. After a storm it can be more difficult to reach. However, if one is willing, the dirt road can easily be hiked from where it is plowed, adding an extra 3 miles round trip. 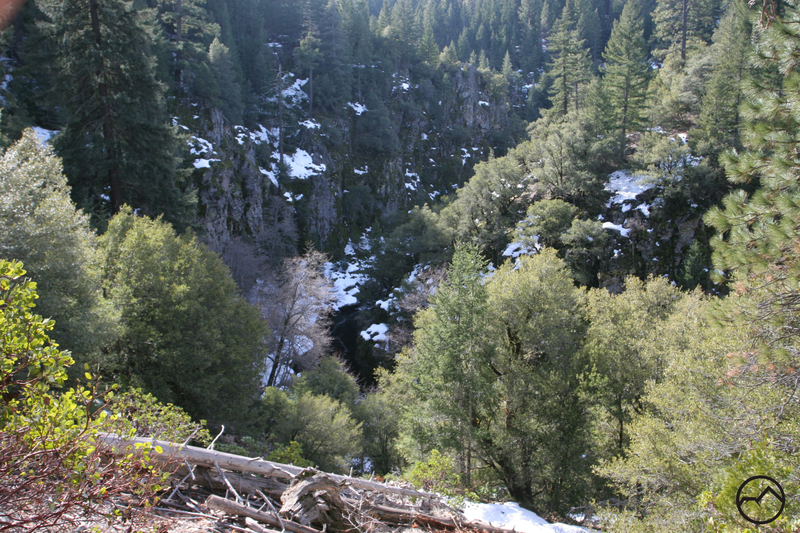 Inside the Box Canyon of the Sacramento River. 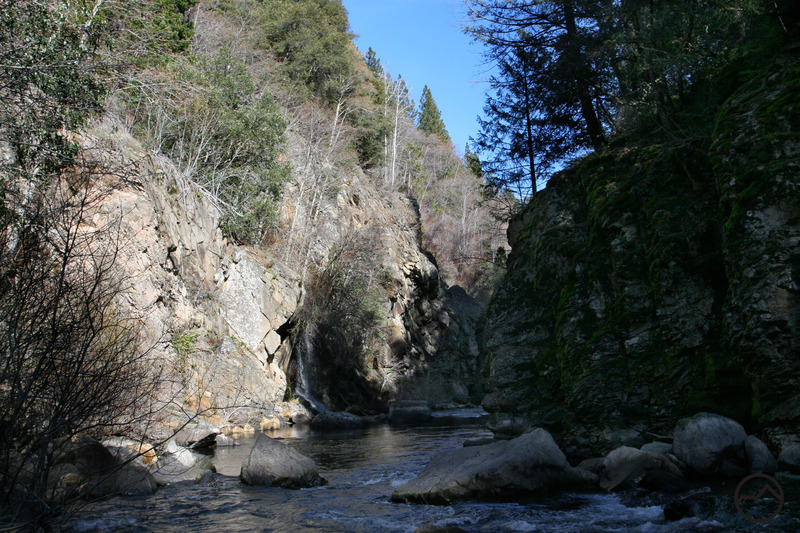 Just minutes away from the trailhead for the Ney Springs Canyon Trail, the Box Canyon Trail follows the rim of the Box Canyon of the Sacramento River, just below the dam that impounds Lake Siskiyou. This is the most unusual of the three trails. It follows the rim of the Box Canyon for just shy of a mile. Along the way, the trail crosses a couple of streams flowing through interesting gullies before reaching one of the highlights of the trail. The route passes through a large car and appliance dump that was made in the 1940’s and 50’s. Folks used to push their old cars and appliances off of a treeless hill when they were finished using them. Since the practice came to a halt, the once treeless slope has been covered with young fir, cedar and pine trees, some of which are growing out of the old cars that are ensconced forever on the rim of the canyon. Beyond the vehicular graveyard, the trail continues past good views down into the canyon before culminating at the opportunity to climb out onto a rocky precipice hanging dramatically over the river and the canyon. A bonus to this trail is the opportunity to use a rope and via ferrata system to climb down into the canyon and observe the river and a small waterfall up close. The route for the river access is at an obvious trail junction about 100 yards from the trailhead. For the full day of hiking, this trail is best done second. The route is on the north side of the box canyon which means it has a southern exposure. Once the sun has risen higher in the sky, the trail gets more direct sunlight, making it much warmer than it would be earlier in the day. Mount Shasta viewed from Rocky Point on Spring Hill. After a morning of hiking and a leisurely lunch (preferably at Poncho and Lefkowitz! ), the trail climbing to the summit of Spring Hill is a pleasant afternoon endeavor. While the two previous trails are interesting because of the physical features they explore (Ney Springs Creek and the Box Canyon) as well as their historical curiosities, the hike up Spring Hill is a hike with views. Chief among the views is awesome Mount Shasta, finally getting its due after a morning in the canyons. The trail is not just dedicated to the great mountain however, as there are fine views of the Trinity Divide, Black Butte and Mount Shasta City. On a clear day, it is possible to observe distant Crater Peak and even more distant Lassen Peak to the south. Though the trail starts off as single track, it soon follows an old road that is closed to motorized traffic. The route switchbacks up the side of Spring Hill, often under tree cover. There are numerous vistas where the trees break and great views are to be had. Benches often mark these spots. Near the summit, there is a junction for the Rocky Point Loop, which is 0.5 miles of single track and leads to a rock outcropping that has a fantastic view of Mount Shasta. The views of Crater Peak, Lassen Peak and Mount Shasta are best had in the afternoon. Though it does not put Mount Eddy in the best light (pun intended) these other features are the most interesting. 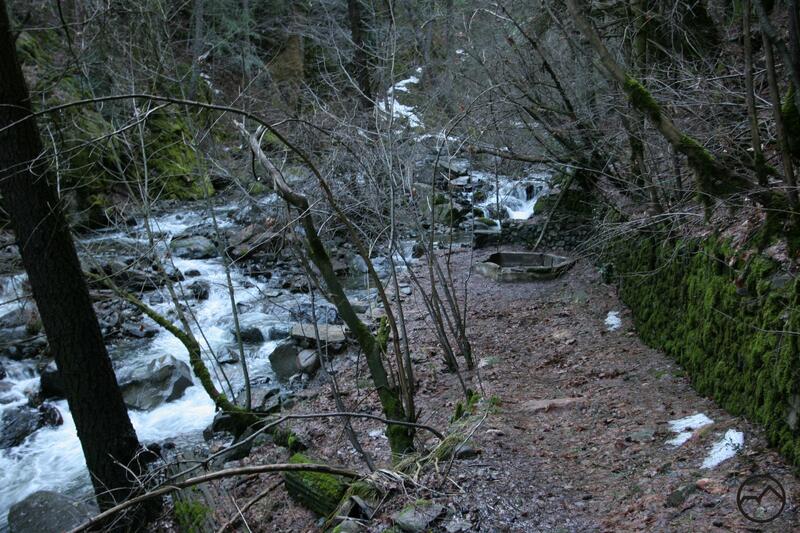 For this reason, this hike should be done last of the three suggested short trails around Mount Shasta City.